Sony A6400 Announced, Priced $898, Available for Pre-Order Now! 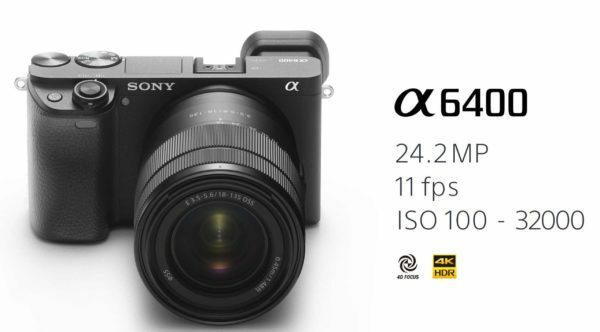 Sony has just officially announced the new Sony A6400! It is a midrange mirrorless camera, featuring a 24.2MP APS-C sensor, 425 phase-detect points auto focus, ‘Real-time Eye AF’ and 11 fps with continuous AF. This new camera costs $898, available for Pre-Order at B&H/ Adorama. It will start shipping in February 2019. ← Sony A6400 to be Announced Tomorrow! Samyang AF 85mm F1.4 FE Lens Available for Pre-Order at Adorama!